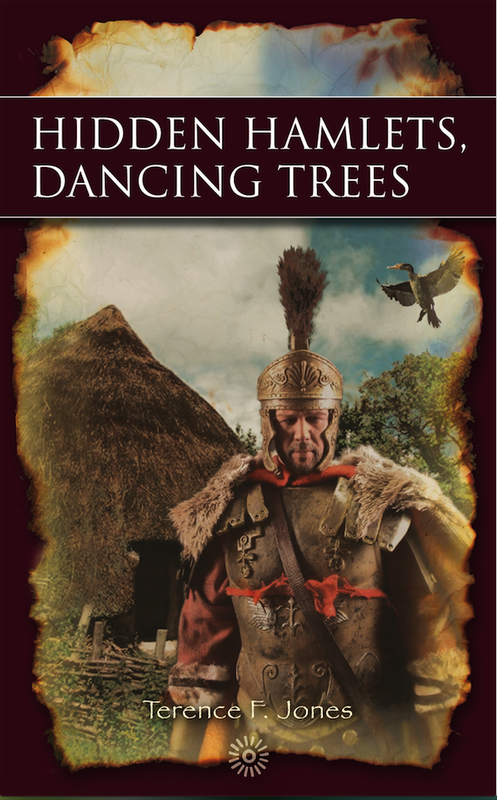 In HIDDEN HAMLETS, DANCING TREES, author Terence Jones examines how the tribes of Roman Britain stood up to their invaders. And here on A Writer of History, he shares his thoughts on what makes historical fiction stand out. What are the ‘magic ingredients’ that make historical fiction unforgettable and irresistible? And in your opinion, what do the best historical fiction writers do to ‘get it right’? Historical fiction, although fiction, can not stray too far from true facts and events, which to many are like indistinct sign-posts jutting out of a misty past. Those sign-posts must be used and clarified to illustrate their importance. The best historical fiction writers are able to weave a compelling story connecting those sign-posts which then illustrate a complete and colourful picture of the times. Undoubtedly yes; historical novels, although fiction, must tell it as it was at the time, whereas contemporary novels usually reach for something other-worldly, strive to illustrate non-existent places where the grass appears to be greener, or the impossible is attainable. What aspects about the past did you specifically try to highlight in Hidden Hamlets, Dancing Trees? I have tried to make the reader realise that under the veil of known and recorded facts and events, there were thousands of untold stories and dramas, and each had many facets. More importantly perhaps that the merest hairs-breadth often separated decisions and events which could have changed the whole course of world history. Normal research techniques were used, such as authoritative books about Roman Britain backed up by the internet, and where practical and possible visits to various sites and restorations. The characters’ names are for the greater part genuine Celtic or Roman and any dialogue appeared to flow from that, but perhaps the most useful research, strange as it may sound, was imagination. I, as far as possible, put myself in the position of the characters themselves, then imagined just how I would feel in that position, human feelings do not change that much, and in my 82 years I have experienced very many differing situations, dangers and associated emotions. It is necessary to have built up an idea of the geographical layout of the country/site as existed at that time. The political and commercial inter-relationships and tensions and construction and manufacturing techniques. Current Historical fiction is for the most part very good and improving. I have long believed that the story about the Roman conquest and the occupation have been badly taught. In essence we are almost given the impression that the Romans had every right to be here. We get an occasional glimpse of Boudicca (Boadicea), and a rarer glimpse of Caractacus, but few have heard anything about Tasca and Camorra, or Venutius and his Wife and enemy Cartimandua without interested research. They are all here and seen through the eyes of a young couple who by chance escaped the destruction of their village with its entire population. Today we often see glorified re-enactments of Roman conquests with their glittering armour and polished standards, but rarely are their acts of savagery recounted. We are told of their buildings, temples, forts and white painted villas, and their roads, but not of their cruel subjection of the native population and its enslavement, and the probably less savage way of life they stamped into the ground, or their paranoid fear of the Druids. Our young couple set out to resist the occupation in any way possible and experience many adventures, and travelled far across the land. I have deliberately avoided magic which unless overtly not serious I believe to be cheating, and every physical feat is possible, very difficult perhaps, but definitely possible. From a purely personal point of view, I believe that provided it is stressed that it is fiction, it could be a very useful educational tool. Many thanks for giving us your take on writing historical fiction, Terence. I wish you much success with Hidden Hamlets, Dancing Trees. The publication date for Hidden Hamlets, Dancing Trees is August 27, 2015. Very interesting post. Roman Britain certainly is a fascinating time in history. I’m curious as to how long it took Mr. Jones to write “Hidden Hamlets, Dancing Trees” and how he crafted his plot and characters? Also, has writing always been a lifelong dream? Thank you for your comment and interest. Hidden Hamlets, Dancing Trees took about two years to write, more or less as a detraction from health issues as well as an interest in the subject. In other words it had to be a fits and starts project. The plot came first. I had sometimes thought about how, where and why the Romans invaded and why there was apparently so little resistance. The answer is of course that there was, but we are taught far too little about it, we have mostly to research it for ourselves. I had to see through Celtic eyes and therefor invented Egen and Josin to be able to move the story across the country meeting representative characters on the way, such people just had to exist. I would love to say yes to this last part of your question, but the truth is no. I have wanted to be many things but a writer was not one of them. Other than in the council chamber in Greenwich I did not think anyone would be interested in what I had to say or thought. I had no experience in writing other than reports and such for companies that I worked for; and of course, mainly political letters to the media. I actually worked until the age of nearly 78 (including part time), when the serious health issues mentioned above intervened. I am now forced to spend the majority of my time indoors, and decided to throw inhibitions about my ideas to the wind and get them down on paper. Even then it was about three parts finished before I tentatively thought about publishing them. Great interview. I especially liked his mention of historical accuracy. I agree 100% with the last paragraph; it is the reason I started writing a short story that grew into two books. Why do schools make history so boring? Thank you for your comment on ‘Hidden Hamlets, Dancing Trees. It would seem we are of like minds on the subject of education, but probably of vastly differing ages. As for schools making history boring, I am convinced that they are so obsessed with dates for examination success, that the events of those dates become a secondary issue.